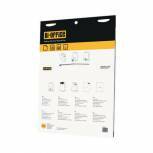 Q-Connect Plain Flipchart Pad A1 40 Sheet (Pack of 5) KF37002 Pack of 5 Q-Connect Flipchart Pads. Quality 80gsm plain 40 sheet flipchart pad, perforated at head for easy removal of used sheets. Punched holes of 442mm centres will fit most flipchart easels. 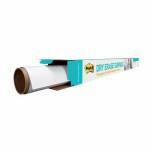 Legamaster Magic Chart Roll White 600x800mm 1591-00 Pack of 1 Legamaster Magic Chart whiteboard film. Electrostatic film sticks to almost any surface without the need for any adhesive. Can be written on with whiteboard markers again and again. Size: W60cm x L20m, perforated every 80cm. Colour: White. 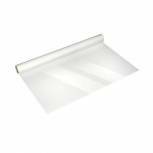 Bi-Office Table Top Self-Stick Flipchart Pad 585x500mm 20 Sheet White FL148303 Pack of 1 Table top self stick flipchart pad with carry handle for easy transportation. High quality paper prevents ink bleed through. Perforated for easy tear off. Size: 585 x 500mm. 20 sheets per pad. 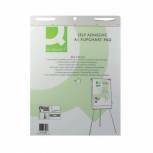 Q-Connect Self-Adhesive Flipchart Pad A1 30 Sheet (Pack of 2) KF37003 Pack of 2 Q-Connect Self Adhesive Flipchart Pads. 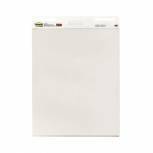 Quality 80gsm plain 40 sheet flipchart pad, perforated at head for easy removal of used sheets. Punched holes of 442mm centres will fit most flipchart easels. 30 sheets per pad. Pack 2. 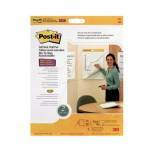 Post-it Super Sticky Table Top Easel Pad/Dry Erase Board 563-D3 Pack of 1 3M Post-it meeting chart/dry erase whiteboard 563-D3. 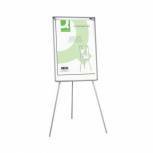 All-in-one table top easel pad and portable whiteboard ideal for meetings on the go. 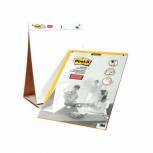 Includes a 20 sheet 50 x 58cm white pad with repositionable adhesive that sticks to most smooth surfaces. 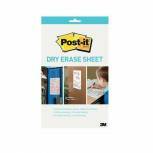 Post-it Table Top Easel Refill Pad Plain White 563R Pack of 1 Post-it table top easel pad sticks to virtually any surface. Just peel off each sheet and stick to the wall. Specially coated to resist bleed through. 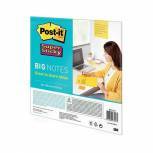 The unique Post-it brand adhesive lets you re-position the pad. 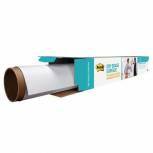 30 plain sheets per pad. W635 x H775mm. 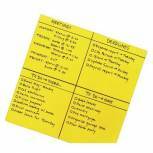 Post-it Super Sticky Meeting Chart 775x635mm (Pack of 2) 559 Pack of 2 3M Post-it Super Sticky Meeting Flip Chart White Flipcharts with a difference! Featuring a Super Sticky adhesive strip. 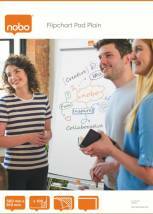 Ideal for use in meeting rooms, for training, brainstorming or planning. A1 sheets 63.5cm x 77.5cm. Includes 2 pads, 30 sheets each. 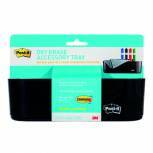 Post-it Super Sticky Table Top Meeting Chart Refill Pad (Pack of 2) 566 Pack of 1 Post-it Table Top Easel/Dry Erase Board. 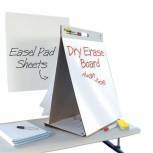 Use one side for Post-it Meeting Charts and the other as a drywipe board. 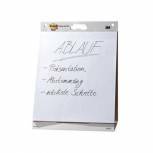 Nobo Plain Flipchart Pad A1 40 Sheet (Pack of 5) 34631165 Pack of 5 Nobo Plain A1 Flip Chart Pad. Good quality white cartridge paper up to 30 percent thicker than many other pads and produced using the lowest chlorine levels. Each pad contains 40 perforated sheets. Size 813 x 584mm. 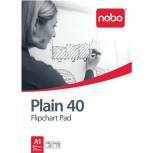 Nobo Plain Flipchart Pad A1 100 Sheet (Pack of 2) 34633681 Pack of 1 100 pages, ideal to keep on a flipchart easel in the meeting room so it will last through a number of sessions. Bleed-resistant paper when used with pad markers. A1 size.